The Most Excited Dog Ever Welcomes Daddy Home! 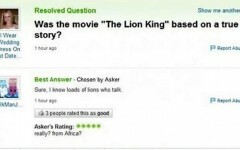 "The Lion King" Based On a True Story! Smurfs Village on Google Maps!